Marijuana concentrates are highly potent marijuana products obtained by extracting cannabinoids. Just as with cannabis flower, many strains of concentrates exist which are composed of varying levels of THC and CBD. Whether you choose to melt some over a bowl or use your favorite dab rigto partake in the pleasures of body and mind offered by marijuana concentrates, you’re sure to find the perfect hash for you. To help get you started, let’s take a look at some of the most common consistencies and types available on the market today. Marijuana concentrates come in a variety of consistencies based on how they are purged (a process which will be described in detail later on). Shatter has a very glassy appearance and, true to its name, is prone to “shatter” into many smaller shards when you go to break a piece off. Wax, also commonly referred to as budder, has a buttery, soft consistency which is easy for dabbing or vaporizing. Then there is snap n’ pull, which serves as a middle ground between the two and offers the user a flexible concentrate that is perfect for portability. BHO, or butane hash oil, is made using butane as a solvent. It is commonly referred to as the most popular form of hash currently available on the market by those in the industry. With an end product that typically tests at between 60-90% THC, it’s easy to understand why. This type of hash oil has been the target of some criticism centering around the potential harmful effects that inhaling butane may have on health. However, by researching manufacturers online and buying from reputable dispensaries and recreation stores, you can ensure your BHO concentrates are purged properly and therefore safe to use. Extractors begin by placing the marijuana buds into a machine shaped like a pillar, then pass highly pressurized butane through that machine. This strips the flower of both its terpenes, which enhance taste by providing aroma, and its cannabinoids. The resulting product is then transferred to a heated vacuum to purge it of the butane and any other contaminants. Variations of this last step are what lead to the different consistencies of BHO which can be found, including wax and shatter. 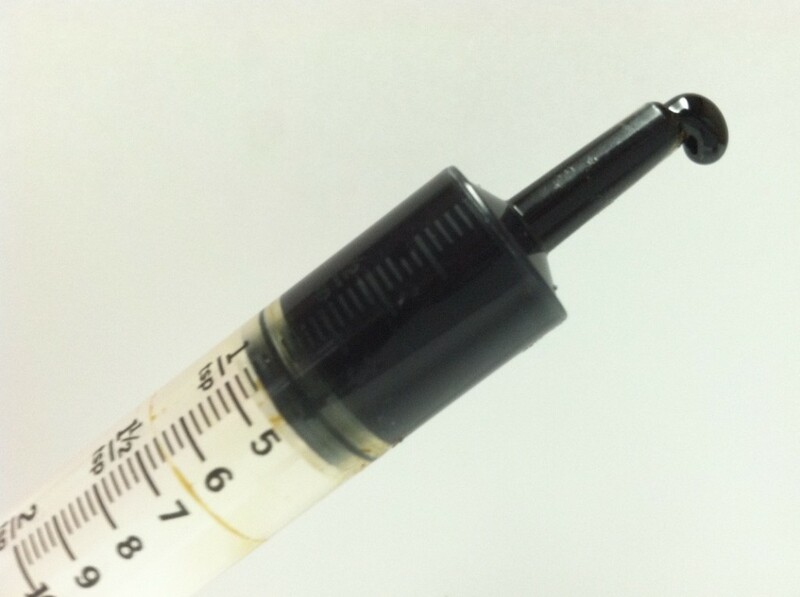 Propane hash oil is made in an extraction process remarkably similar to that used for BHO. Aside from propane being the chosen solvent in this case, the only difference is that the propane runs through the machine at much higher pressures than those used in BHO extractions. This preserves more terpenes which results in a more flavorful concentrate, and often leaves behind less gas to be purged as well. A lower boiling point means it takes less heat to purge what gas does remain and results in a malleable, waxy texture. CO2 oil is perfect for vaporizing because of its liquid consistency. This amber-colored concentrate most often comes in a plastic syringe and is found in most pre-filled vaporizer cartridges. CO2 oil can be produced at either high or low pressures, and the machines used in the process may be fine-tuned to modify the extraction technique in ways that alter the yield and quality of the product. CO2 is passed through the machines, removing oils and cannabinoids from the cannabis flower just as in previous extraction methods. While this extraction method kills bacteria and mold that may be hiding on plant matter and has zero risk of toxicity or harmful residuals from gas, CO2 oil also tends to be rated as one of the least flavorful varieties. Live resin is a relatively new form of BHO which is created using marijuana buds that are freshly harvested and then immediately flash-frozen to preserve freshness prior to the extraction process. Since the plant matter is not dried out like it would be during a traditional curing process, the end result is very aromatic and tasty. Live resin contains significantly more monoterpenes, which are specifically responsible for the fresh, fruity, floral aroma which makes this type of concentrate so highly sought-after. Being that this innovative process is still relatively new and has generated quite a bit of demand recently on account of the quality its able to produce, live resin is noticeably more expensive than other concentrates for the time being. Rosin, or solventless hash oil (SHO), is a relatively accessible form of marijuana concentrate that can be made by anybody from just about anywhere. All that is required is a bud of marijuana, and a source of pressure and heat. Hair straighteners are a very popular item which satisfies both the latter two requirements and can be easily attained if one is not already laying around. Simply set your straightener to the lowest setting, place your buds in-between a sheet of parchment paper, press the parchment paper with the straightener until you hear a “sizzle,”and then remove the paper using heat-resistant gloves and enjoy your homemade concentrate! Rosin usually has a shatter-like consistency, although this will of course vary based on who completes the process and how. Pressure and heat can be adjusted as you see fit to suit your needs. Typically, higher pressures coupled with lower heat yields more terpenes and therefore more flavor. Rick Simpson oil, also known as phoenix tears, is named after its creator who claims that orally ingesting this specific type of concentrate cured his skin cancer. Simpson advises that patients consume about a gram of RSO every day for approximately 90 days depending on the ailment being treated. RSO ensures patients fighting debilitating or life-threatening illnesses such as cancer that they are receiving oil of the utmost quality and potency by only incorporating premium buds into the mix as opposed to the leftover shake or leaves that may make up the bulk of many other concentrates. One pound of cannabis flowers goes in to every 60 gram batch of RSO. Once harvested, the buds are treated to multiple alcohol washes and then carefully strained to remove any medicinal plant matter after each wash. The resulting plant matter is then carefully heated using a long, slow process which removes the alcohol without reducing the potency of the finished product. Drops of water are added by the extractor throughout the process to aide in the evaporation of the alcohol. Once the RSO stops bubbling, the concentrate is done and can be collected for use. 23 juin 2012I simply want to mention I’m newbie to blogging and si-eibuildtng and truly loved you’re web-site. Almost certainly Iâ€™m want to bookmark your blog . You definitely have excellent well written articles. Regards for sharing your web site.